Many sales managers are promoted from sales based on outstanding performance. But closing sales doesn’t mean you automatically know how to manage a sales team. Use these four tips to level up your sales team management performance and drive better results. Initial onboarding and continuing education and training programs are essential to a successful sales team, whether you’re working with veteran sales reps or building up a team of new hires. In fact, high-performing sales organizations are twice as likely to provide ongoing training as low-performing ones, says SiriusDecisions. In most cases, sales reps will come to you armed with basic sales knowledge. But you should develop a training program that continually builds on that foundation. Sales techniques and strategies are always evolving, so keeping up to date on industry best practices can help your reps stay sharp and continue to progress. Your sales team should understand the company products inside and out and adhere to clear and precise processes for optimal results. Research shows that without a structured training program and ongoing reinforcement, sales teams forget 84% of the training content within 90 days. So if you don’t have a robust education program, your training investments are largely wasted over time. Fortunately, the right sales management tools can help bridge the gap between people and process. Lucidchart supports sales managers at every step, including onboarding and orientation, process updates, and account assignment handoffs. 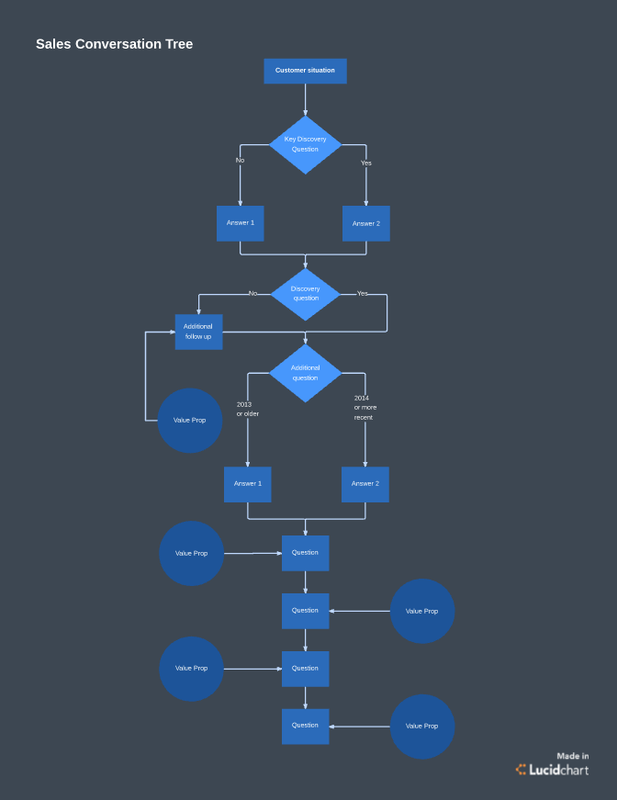 From deal flows to conversation trees, you can map each step of the sales process to share across the organization, keeping everyone on the same page. And with Lucidchart, you can quickly turn your diagrams into professional presentations that make it easy for new hires to visualize and understand your team’s unique processes and best practices. In the interest of seeming fair or equitable, some managers may fall into the trap of treating all sales reps (and their assignments) the same. However, for best results, sales managers should get to know each team member to learn their strengths, weaknesses, and preferences—and then assign their accounts and roles accordingly. For instance, do they like building relationships with small business prospects or larger clients? Are they seasoned sales professionals, or are they still learning the ropes? Perhaps some reps have in-depth knowledge of a certain market or sector, or maybe they are strong closers but average prospectors. Sales reps will have more success when they focus on what they are good at. Specializing in one or two roles reduces productivity-sucking multitasking. Of course, specializing a historically generalist sales team can be daunting. It means disrupting the status quo, rearranging roles and accounts, and adjusting team expectations. And let’s face it—humans don’t like change. Creates a clear path for career growth within your team organization. Isolates roles and functions to highlight process breakdowns, bottlenecks, and weaknesses. Makes hiring, training, and growth more scalable across the board. Bottom line: Specialization is one of the best ways to create predictable, scalable sales revenue. While training and specialization are important, they won’t get you far without a clear strategy. While you should have an overall strategy for the sales department, also consider working with sales reps one on one to develop personalized strategies based on each salesperson’s role or accounts. This dual approach to setting strategy will make it easier to meet goals, track progress, and fine-tune processes. Meet with your team members regularly to assess their performance and learn what roadblocks they’re facing in meeting their quotas or delivering on specific KPIs. By focusing on individual team members, you can get a clearer picture of what issues your team faces in performing at its best. You can track team-wide barriers, as well as nail down on individual issues. This approach makes it easier to set realistic goals and successful strategies to meet them at both the team and individual level. 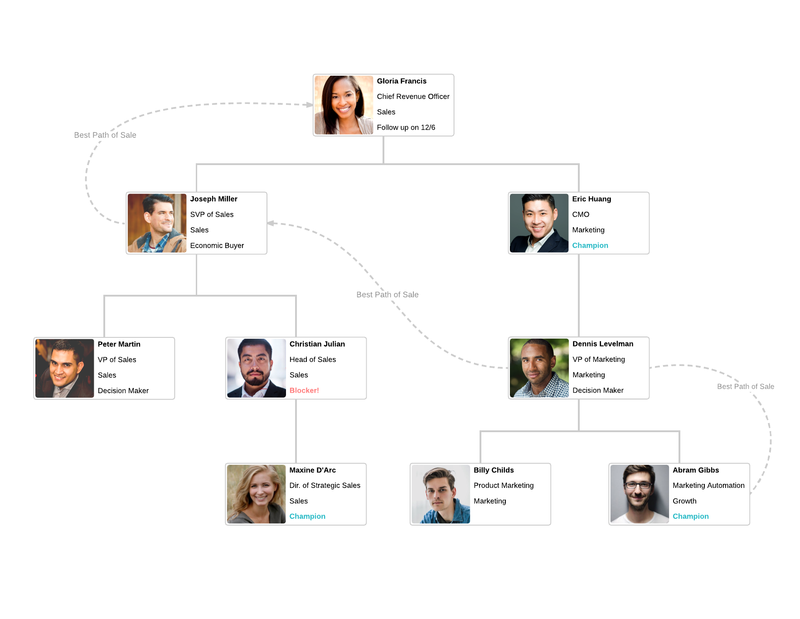 The Lucidchart Sales Solution supports sales team management by making it easy for sales reps to build account maps outlining key influencers, blockers, and buyers. 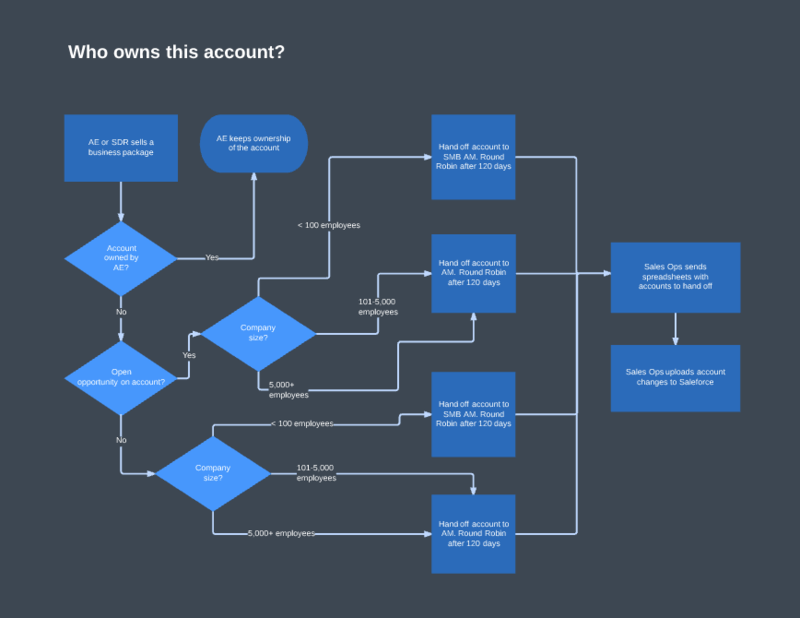 Sales leaders can then use these account maps to quickly review deals and give reps customized coaching. Sales is a tricky beast that can quickly burn out even the most tenacious sales reps. To keep your team fresh and motivated, you’ll need to incentivize them. Of course, you can (and should) provide a clear compensation package, but you will likely need additional rewards and benefits to maintain a healthy and productive team. Most people (especially sales professionals) are motivated by two things: money and recognition. While you can provide these incentives in straightforward ways (e.g., meet this weekly or monthly goal and receive a certain amount of money), it’s a lot more fun and motivating to shake things up. To get the most of your team, be creative with your incentives. Take the team out for a movie or other activity during the workday. Give the sales rep a day off. Spotlight standout performers at daily or weekly team meetings. Pay for a cleaning service to clean the team member’s home. Buy lunch for the team. Offer to do the prospecting for them. Share their success stories with the whole organization (at the next company-wide meeting or in a newsletter). Reward team or individuals with a “late-start” day (on a slow week) when they reach a predetermined goal. Lucidchart can help you promote fun and successful incentive programs. For example, you can use the platform to create stunning visuals like a March Madness bracket, where sales reps compete with each other round-by-round on assigned tasks, such as prospecting. No matter how successful your team is now, using the right sales management tools can help you level up performance and multiply your team’s success. But choosing the right sales management tool can be daunting. And many sales managers find themselves bogged down in competing platforms. In fact, 61% of employees typically access four or more systems to get the information they need to do their jobs, according to a report by IDC. Sales teams don’t have that kind of time. Luckily, the Lucidchart Sales Solution makes it easy to collect your sales collateral and visualize information and processes. 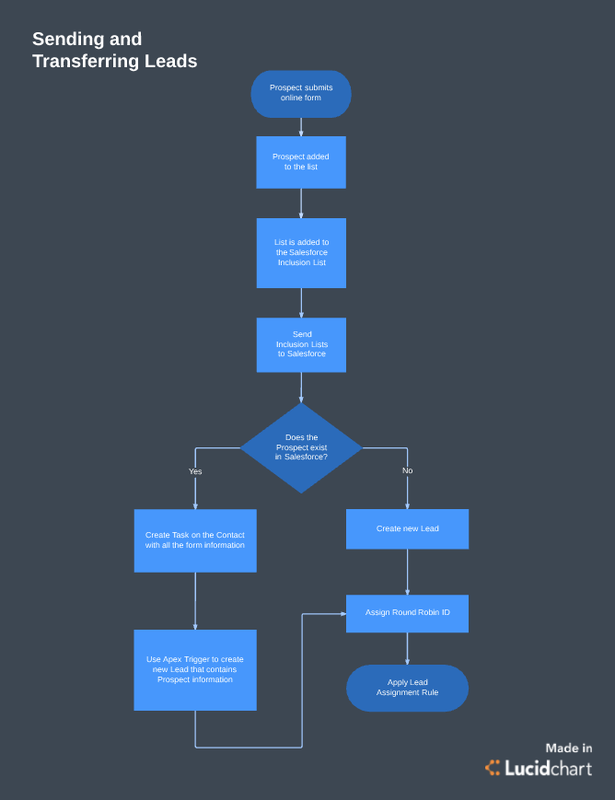 Its Salesforce integration allows you to import your contacts with the click of a button and drag and drop them to build account maps that help you identify relationships and connect the dots for a quicker and easier close. Additionally, account maps created with the integration are centrally owned and managed on Salesforce, so you can rest assured you won’t lose insights or key data when accounts change hands or reps leave the team. Lucidchart’s intuitive interface and easy sharing make it the obvious technology of choice for sales managers and their teams.